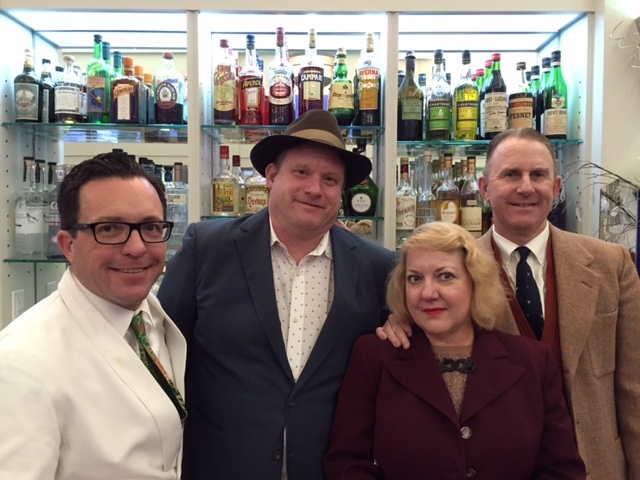 Join me in raising a toast to Stookey’s Club Moderne, a delightful 1930s art deco-style cocktail bar that opened in January 2015, by a dynamic trio of owners – husband and wife Tim Stookey and Leslie Cole Stookey and Leslie’s cousin Aaron Cole. 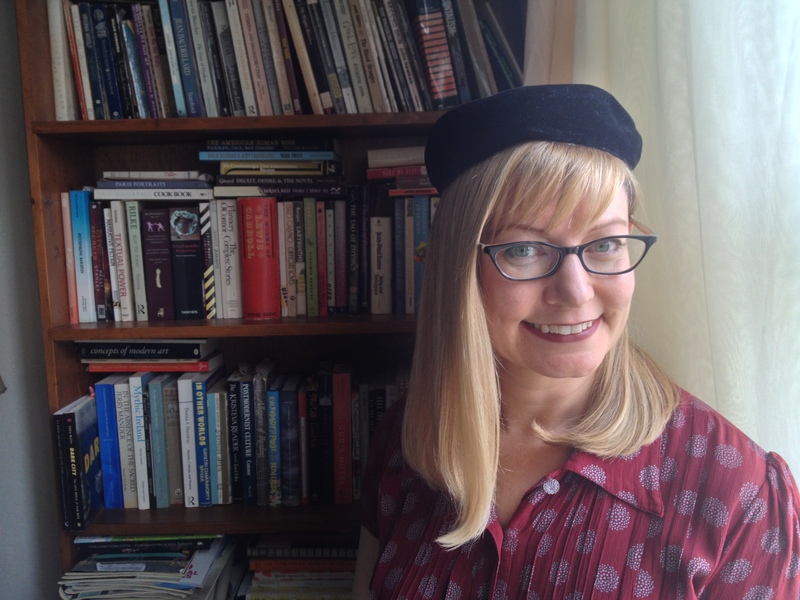 All photos by Julie Lindow and Donna Brodman. Celebrating its first anniversary, the bar is at 895 Bush St. (at Taylor Street), about four blocks northwest of Union Square, not far from Dashiell Hammett’s former apartment, and a roll down Nob Hill. Several years ago a dear friend, singer, artist and private investigator Mr. Lucky, introduced me and my husband, Peter Maravelis, to Tim Stookey. (Years later, Mr. Lucky, aka Pierre Merkl, would be the officiant at Leslie and Tim’s wedding!) This began our Sunday urban-hike ritual, from Alamo Square, up into Pacific Heights to weave through the mansions, west into the misty eucalyptus forest of the Presidio, and down to the Presidio Social Club for our final prize, Tim’s cocktails. Tim is a top-rate “thirst scientist,” and has been at the forefront of San Francisco’s cocktail renaissance. On New Year’s Eve in 1991, when the vintage swing scene was beginning, Tim and Leslie, dressed to the nines in vintage attire, walked into Zuni’s and ordered Manhattans. No one else at the bar was drinking cocktails. Somehow, the city had forgotten its cocktail heritage. San Francisco was a leader in the invention of cocktails due in great part to its being a port city with imported wines and liquors and medicinal bitters, a fertile land of yerba buena, aka mint and citrus, and a city founded by diverse adventure-seeking folks here to reinvent themselves and the world. 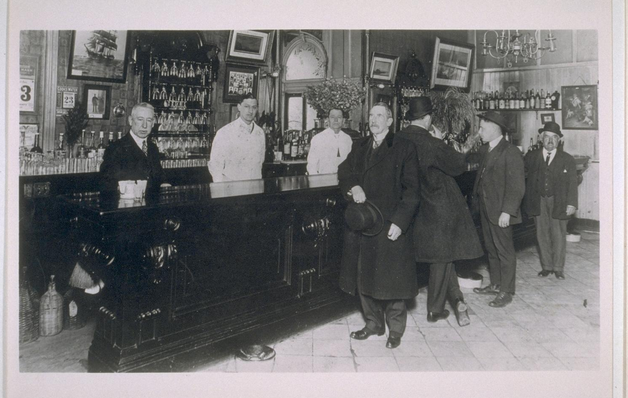 From 1853 to 1919, the Bank Exchange Saloon hosted the powerful and famous, from politicians to Comstock financiers to Mark Twain, serving its famous Pisco Punch, among other notorious cocktails. 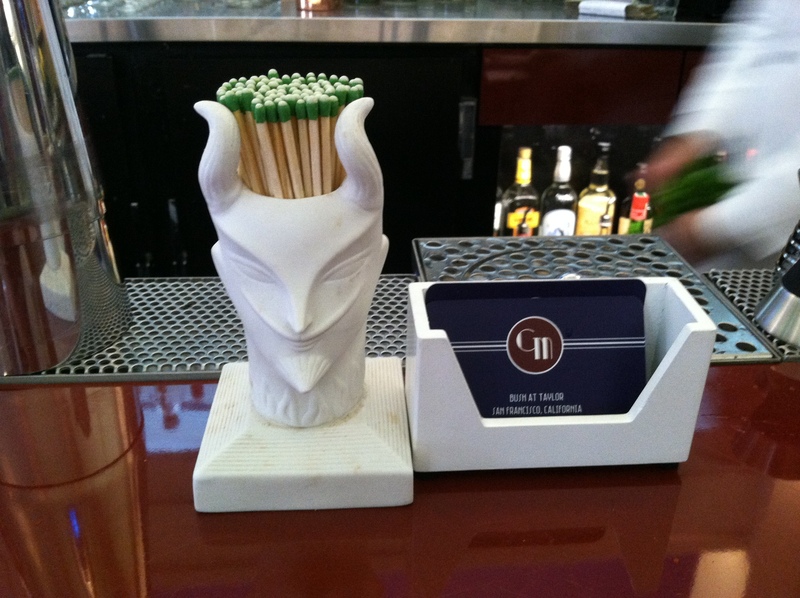 Famous mixologists have been heralded in S.F. history. Among them, Jerry “The Professor” Thomas was famous for his Martinez (that evolved into the Martini) and his Flaming Blue Blazer, circa 1862. Harry Johnson published The Bartender’s Manual in 1882 and was known for encouraging respect for all customers, rich and poor. 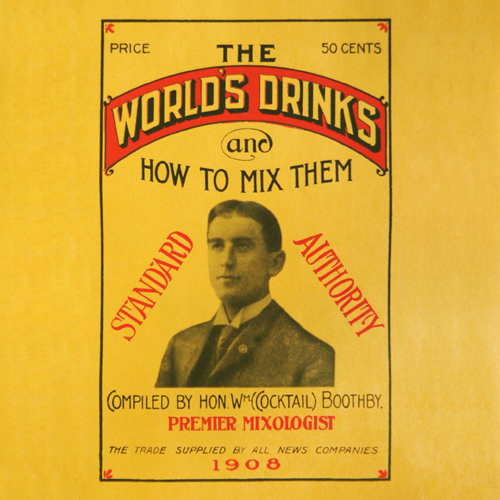 William Thomas Boothby, “Cocktail Bill,” is legendary for his Boothby Cocktail (the precursor to the Manhattan), and his own Cocktail Boothby’s American Bar-tender guide, published in 1890. He was the “premier mixologist” at The Fairmont and Palace hotels from 1909 until Prohibition, in 1920. When asked why the three were inspired to create a 1930s-style cocktail bar, Tim explained that his parents had grown up in the 1930s with the Depression, the New Deal and art deco styles. Though San Franciscans tend to romanticize the wild days of the Barbary Coast, it was actually pretty rough, racist, dangerous and male-dominated, except for a few expensive venues, mostly in the fine hotels. From 1920 to the 1930s, there was a powder-keg combination of women and minorities demanding more freedom, including dressing for themselves in more practical and comfortable bobbed-hair styles and drop-waist dresses and art deco fashions. Clandestine speakeasies and jazz music also played their parts in the new scene. All this fueled an explosion of experimentation and creativity during Prohibition. Though San Francisco was relatively loose and allowed speakeasies to exist, the secretive nature of speakeasies makes it difficult to find articles, books, or historical records about them. After Prohibition ended in 1933, though the Depression made cocktails a luxury, the concept of the bar had been forever transformed into a more woman-friendly environment where people of all types could gather for entertainment and conversation. A great example is the 1934 film, The Thin Man. 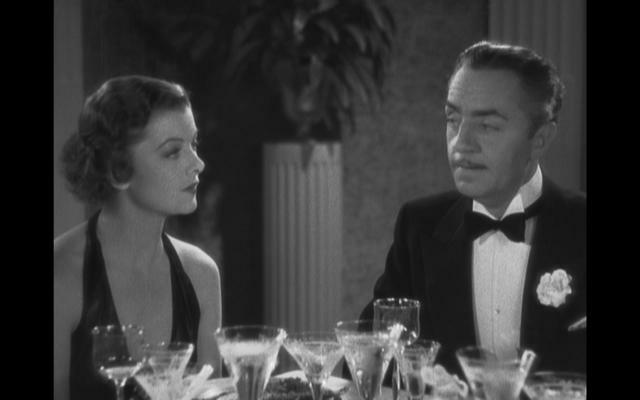 Watch the opening transgressive scene where Myrna Loy finds William Powell, as her husband, in an elegant Manhattan hotel bar and asks the bartender to line up eight martinis so she can catch up to him! Skip ahead decades, past the legendary 1950s-‘60s Tiki era of Trader Vic’s, to the cocktail renaissance that began in the 1990s. Tim was at the forefront of rekindling the idea of dressing up and going out for cocktails, and of creating cocktails with culinary merit. He tended bar from 1999 to 2006 at The Hotel Majestic bar, the bar with all the iridescent blue butterflies on the wall. He was in good company at the time with such bars as Absinthe, Bruno’s and Zam Zam’s, Jay Johnson’s The Club Deluxe and The Orbit Room and David Nepove at Enrico’s generating a revived cocktail circuit. Alberta Straub at The Orbit Room was one of the few women bartenders in the scene who, with her Ph.D. in philosophy, developed farmer’s market-inspired infusions and bitters that she passionately shared with her devoted followers. In 2003, the San Francisco chapter of the U.S. Bartenders’ Guild invited Tim to join and help refresh the legitimacy of the profession. 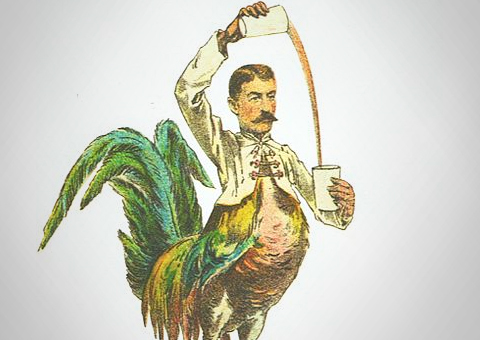 By 2005, the cocktail revival was in full swing, with bartenders from coast to coast regularly raiding farmer’s markets. In Manhattan, there was such a shortage of bitters that bartenders hoarded stocks in their apartments to bring to work on their shifts. In January 2012, Tim reconnected with Leslie and her cousin Aaron. Aaron had been in real estate, and an antiques and collectables dealer. In addition to being an investor, Leslie had been teaching sociology at the University of Southern California. A few years later, Stookey’s Club Moderne was born! Of note is that Stookey’s isn’t only reviving the cocktails and style of 1930s San Francisco, it is also reviving that experimental, boundary-pushing, irreverent spirit. When so many longstanding San Francisco bars and restaurants are closing as their rents are raised beyond sustainable levels, new venues are opening, but they usually have many investors who demand a certain return on their money within a certain timeframe. To assure this return, they assert more control and usually demand a less risky and already tried formula. This greatly limits the creativity that once thrived among new S.F. bar and restaurant owners. Leslie, Tim and Aaron are the sole investors in Stookey’s, making it a brave venture and allowing them the ability to turn the establishment into a true collaborative community space. It is not just a bar but a place where writers come to sit by the window in the late afternoon, sipping 100 Reasons Rye and writing their latest novels; where acoustic musicians play jazz from the ‘30s and ‘40s, and art deco society members give lectures on architecture and fashion. Tourists are delighted when they find the S.F. gem, and the neighbor down the street, an elderly man in a fedora, strolls in as if it were his home. It is a space where every detail has been thought through, from the coat hooks on the walls and the handbag hooks below the bar, to the vintage logo matchbooks and the vintage glassware that the owners found at the Alameda auction and various second-hand shops. Stookey’s cocktail menu is inspired by 1930s cocktail recipes and changes seasonally, but it features a few signature drinks that will make you swoon. 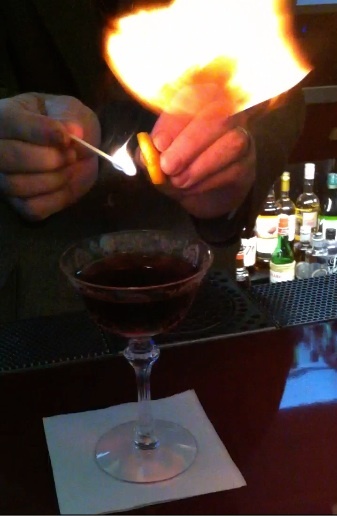 This is Part One of a two-part series on Stookey’s and its signature cocktails. The story concludes in next week’s edition of EatDrinkFilms.com. Stookey’s Club Moderne One Year Anniversary Party with specialty cocktails is from 7 to 9 p.m. Jan. 28. For more information, click the above link. This entry was posted in Drink, Drink: Recipes, Drinks: Cocktails and Other Alcoholic and tagged cocktail, cocktails, Drink, Julie Lindow, Stookey's Club Modern. Bookmark the permalink. ← The hottest news from SLAMDANCE and SUNDANCE! EXCLUSIVE UPDATES from EatDrinkFilms.com.